49er Torrey Smith and his wife had a scary experience during her current pregnancy—is this a sign that we're running too many tests on pregnant women? 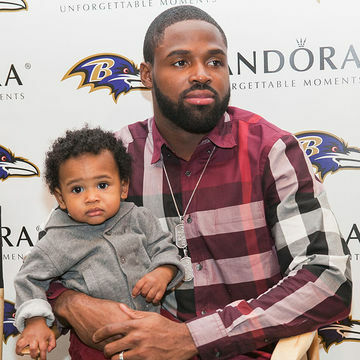 Football player Torrey Smith and his wife Chanel had a terrifying prenatal testing scare during their second pregnancy, the 49er revealed in a recent blog post (the two are already parents to 11-month-old son, Torrey "TJ" Jeremiah). The experience had to have been incredibly frightening for the couple; according to his blog, they heard their child had a one in 25 chance of being born with Trisomy 18, which is a chromosomal abnormality that can lead to developmental delays and may even be fatal. The result led the ex-Ravens player and his wife to undergo more tests—one round of testing indicated that the baby had even scarier odds, with a one in 10 chance of having Trisomy 18. But after yet another test, the couple learned their baby did not have the abnormality after all. We are so glad that the Smiths received good news but this begs the question: Are pregnant women subjected to too many tests? So many women receive scary news during prenatal testing, only to learn later that all is well. And while the relief that comes with that eventual good news is immense, the fact is that stress is never good for a pregnant woman or her baby—and these tests can certainly cause a great deal of it. Of course, proper health care for pregnant women is absolutely essential. It's so, so important that you discuss any concerns with your doctor and that any issues be identified and tackled—but when it comes prenatal testing, is there a point where it causes more harm than good? OB-GYN Sherri Ross, M.D., told SELF that these tests can help women rest easy, but that she agrees that there is such a thing as too much. When it comes right down to it, there's a delicate balance when it comes to investigating issues that may come up during pregnancy and it's up to each woman and her doctor to find it. "Try not to do something invasive if you can do something non-invasive and be reassured by it," Dr. Ross said. "More testing isn't better. It can be confusing and create anxiety." We'd love to hear from you—did you feel you've had unnecessary screenings while pregnant?